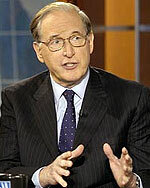 Senator Jay Rockefeller today reintroduced his landmark mine safety legislation aimed at fixing the glaring safety issues revealed in the wake of the Upper Big Branch mine disaster on April 5, 2010, which claimed the lives of 29 miners in Montcoal, West Virginia. Senator Joe Manchin cosponsored the legislation. 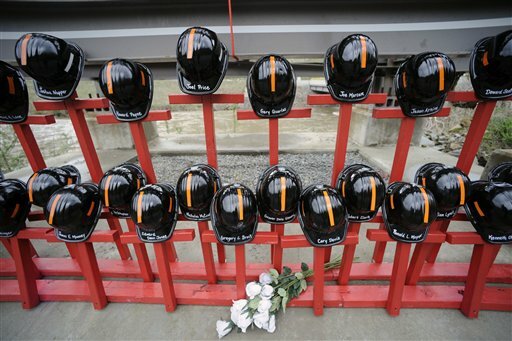 The Robert C. Byrd Mine and Workplace Safety and Health Act was first introduced in 2010, and again in 2011 and 2012. Since the terrible tragedy at Upper Big Branch more than three years ago, some crucial steps have been taken to improve mine safety, but we are long overdue to make an even bigger leap forward by passing comprehensive mine safety legislation. We owe it to families of the victims at Upper Big Branch, and to the miners of today and tomorrow, to pass mine safety legislation that moves us more strongly ahead. Coal miners’ loved ones give thanks for answered prayers every time they walk through the front door. We should be constantly vigilant for that safe return home. We cannot wait for another tragedy before we act. The time is now. — Strengthens whistleblower protections for miners who speak out about unsafe conditions. This bill will require one hour annually of “miner’s rights training” to inform workers of the law’s protections, give miners an express right to refuse unsafe work, expand the time limit for filing a complaint about retaliation from 60 to 180 days, and authorize punitive damages and criminal penalties for retaliation against workers who raise safety concerns. — Increases maximum criminal penalties. Currently, criminal violations of mine safety laws are a misdemeanor for a first offense. To provide a strong deterrent for such serious misconduct, the penalties for knowing violations of safety standards will be raised to the felony level, including providing felony penalties for miners, operators, and government officials who knowingly provide advance notice of inspections. — Gives the Mine Safety and Health Administration (MSHA) expanded authority to subpoena documents and testimony. Currently, MSHA does not have the authority to subpoena documents or testimony from operators outside the context of a formal, public hearing. MSHA should have this authority in the context of investigations and inspections as well as public hearings. — Provides for an independent investigation of the most serious accidents. The bill creates an independent panel, comprised of a team of independent experts, to investigate the actions of both the operator and MSHA for serious accidents, including any accident involving three or more deaths. — Establishes strict penalties for unsafe ventilation changes. Investigations conducted by MSHA, the United Mine Workers of America, and the Governor’s Independent Investigation Panel determined that Massey made multiple illegal ventilation changes at Upper Big Branch mine without any approval. Reduced ventilation can lessen clean air flow in the mines and increase the likelihood of explosions. The bill would severely penalize mine companies with up to $220,000 in fines for such flagrant violations that could seriously harm miners just trying to do their jobs. Time to find a different proffession. Companies should go ahead and stop mining both surface and underground. You don’t find the public making this much of an outcry when hundreds are killed by a drunken driver on our highways OR when hundreds are killed each year by wrecking ATV’s. You don’t hear of “new legislation” being introduced to prevent those kinds of deaths. It’s more dangerous on government highways and riding an ATV than it is mining coal. Every death is preventable and unacceptable and should be investigated to see why each occurred. But a new regulation will not always prevent the next from occurring. Our elected officials are only “introducing” laws to get attention so they can get re-elected anyway. After reading everyones posts,I wonder why they never post anything positive. They give me the impression that they would just opine over anything that has to do with the burning of fossil fuels. Does the Charleston Gazette have any positions open that pays the equivelant of what a coal company pays? If I loose my job there’s going to be a lot of people not getting their entitlements. But actually, any quick google news search will reveal efforts in various states and Congress regarding improving our laws regarding both drunk driving and ATV safety. It’s simply not true to say that efforts aren’t made to try to improve safety on those — and a variety of other — fronts. And I think you mean to say if you “lose” your job, not “loose” your job. I’m just a hillbilly coal miner Ken. Having good grades in spelling wasn’t one of the requirements for this proffession. I’m sorry if I seemed to be ranting. I just meant that if there is an outcry from the public about other industry fatalitys, the press don’t give it the attention like the they do the coal industry. Or maybe I should do more “google-ing”. Thanks for your reporting on coal issues though. Wish you had more pro-coal advacates. I would agree that the press should give more attention to all workplace safety issues in all industries. No one should have to die on the job, and these deaths are preventable. My experience, though, tells me that most industries, when their negative side is written about and exposed, respond by complaining they get picked on. Natural gas does it. Chemical industry does it. They all do it. Ken.